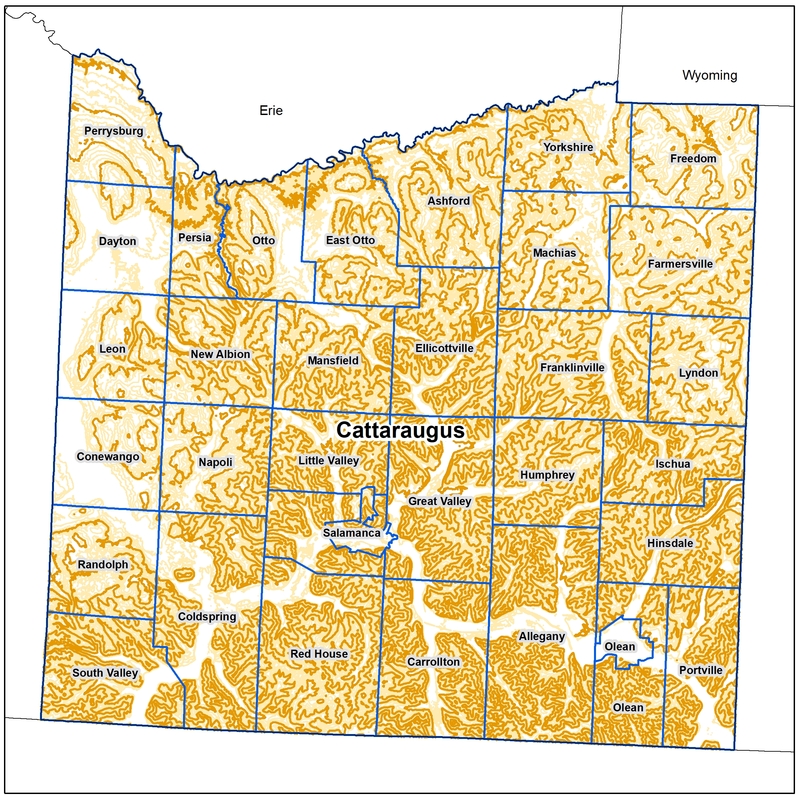 The Cattaraugus County contours were created using the NYSGPO Southwest 2017 Fall & Spring LiDAR Collection. These contours were generated using Global Mapper Generate Contours tool and running against the bare earth digital elevation model. Contours are stored within a File Geodatabase by town, each town has several contour intervals the end-user can choose from including 2ft, 10ft, 20ft, 50ft, 100ft, 250ft, and 500ft with a scale triggered layer file.